Authors: Polishchuk A.I., Soboleva A.S., Karimi R.E. The article touches upon the specifics of the development of Russian-Iranian cultural ties at the turn of the 20th and 21st centuries. Over the past 25 years, these relations have significantly intensified mainly as a result of a purposeful and state-funded policy of the leadership of the Islamic Republic of Iran, which ensures the spread of Iranian-Islamic culture and the Persian language in the world, including in Russia. At the same time, Iran resists penetration of any cultural influence “alien to Islamic values”, which requires a carefully thought-out approach in promoting the achievements of Russian culture on its territory. Russia regards Iran as an influential regional force and a geopolitical ally for strengthening stability in the region and a multipolar world. Development of ties with Iran at this stage is a priority in the militarytechnical, scientific-educational, trade and economic spheres. Cultural cooperation with Iran at the state level is not given independent significance and the role of some favorable background is assigned. 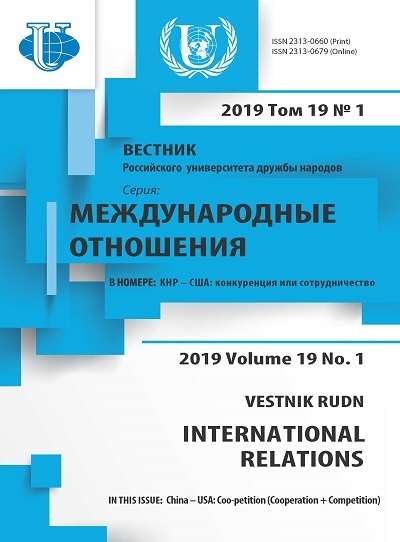 There is an underestimation of the role of the cultural factor in shaping the structure of Russia’s strategic interaction with the Islamic Republic of Iran. Russia, Iran, culture, cooperation, Cultural representation at the Embassy of the Islamic Republic of Iran in the Russian Federation, Iranian studies, “dialogue of civilizations”, “cultural engineering”. Amirahmadian, B. (2008). Cultural relations between Iran and Russia. In: Iran-Russia Relations. Ed. by M. Sanaei, J. Karami. Tehran: IRAS, p. 60—100. (In Persian). Arabadjan, A.Z. (1998). Islam and the Iranian principle in the IRI (the problem of correlation). In: Iran: the evolution of the islamic management. Moscow: Institute of Oriental Studies, Russian Academy of Sciences, p. 30—36. (In Russ.). Dunaeva, E.V. (2014). 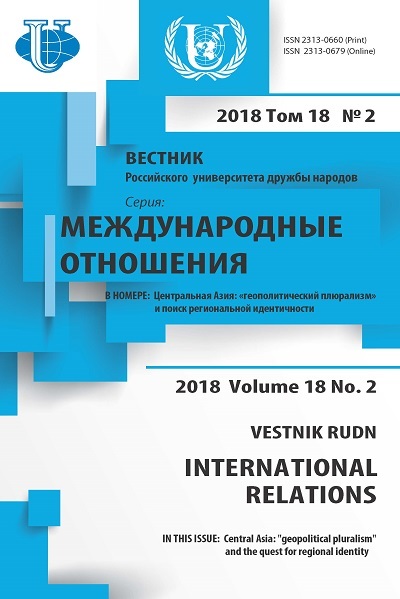 Russia and Iran: features of development and problems of intercultural communication. Observatory of Culture, 5, 135—141. URL: http://observatoria.rsl.ru/jour/article/ view/101/239 (accessed: date: 01.04.2018). (In Russ.). Harsij, H. & Mollaei, E. (2009) ‘Iranian Soft Power during the Khatami Era’. Policy Monthly, 16(4), 299—319. (In Persian). Karimi Riabi, E. (2009). Cultural relations between Iran and Russia in the post-Soviet period. Studies of Central Asia and the Caucasus, 66, 1—16. URL: http://www.ensani.ir/fa/content/211179/ default.aspx (accessed: 01.04.2018). (In Persian). Kameneva, M.S. (2013). Three approaches to the notion of “culture” in the IRI. In: Iran under M. Ahmadinejad. In memory of A. Arabadjan. Moscow: Russian Academy of Sciences, Institute of Oriental Studies, p. 164—171. (In Russ.). Klyashtorina, V.B. (1998). Cultural and Political Doctrine of the Islamic Republic of Iran in the Region (90s). In: Islamic Republic of Iran in the 1990’s. (Economics, politics, culture). Moscow: Russian Academy of Sciences, Institute of Oriental Studies, p. 120—129. (In Russ.). Kulagina, L.M. & Dunaeva, E.V. (1998). Boundary of Russia with Iran (the history of formation). Moscow: Russian Academy of Sciences, Institute of Oriental Studies. (In Russ.). Leonova, О.G. (2014). “Soft power”: tools and coefficients of influence. Observer-Observer, 3, 15—28. (In Russ.). Lotfian, S. (1999). Iran’s Middle East Policies under Khatami. Iranian Journal of International Affairs, 10 (4), 421—448. (In Persian). Maleki, R. (2017). Relations between Iran and Russia: Challenges and Prospects. In: Cooperation between Russia and Iran in political, economic and cultural fields as a factor of strengthening peace and security in Eurasia: materials of the International Scientific and Practical Conference. October 19, 2016. Ed. by A.Ya. Kasyuk, I.K. Kharichkin, A.I. Polishchuk. Moscow: Moscow State Linguistic University, p. 138—143. (In Russ.). Mamedova, N.M. (2017). On Cultural Policy and the Concept of “Cultural Jihad” in Iran. In: RussiaIran: Dialogue of Cultures: International Scientific Conference, April 8, 2016. Ed. by A.S. Zapesotsky. Saint Petersburg: SPbGUP, p. 47—55. (In Russ.). Mozaffari, M. (2013). The Role of Ideology in Iranian Foreign Policy. In: Iran and the Challenges of the Twenty-first Century: Essays in Honour of Mohammad-Reza Djalili. Costa Mesa, CA: Mazda, p. 189—204. Parker, J.W. (2009). Persian Dreams: Moscow and Tehran since the Fall of the Shah. Dulles, Virginia: Potomac Books Inc.
Polishchuk, A.I. (2015). On the issue of dialogue and the alliance of civilizations. Irano-Slavika, 1 (28), 23—25. (In Russ.). Polishchuk, A.I. (2017). Perspective plan for the implementation of the cultural policy of the Islamic Republic of Iran: a common strategy and ways to solve the problems of demography. In: Iran in the world politics. XXI century. Moscow: Russian Academy of Sciences, Institute of Oriental Studies, p. 242—254. (In Russ.). Shafagi, M. (2017). Language as an instrument of acquaintance with another people. In: Cooperation between Russia and Iran in political, economic and cultural fields as a factor of strengthening peace and security in Eurasia: materials of the International Scientific and Practical Conference. October 19, 2016. Ed. by A. Ya. Kasyuk, I. K. Kharichkin, A.I. Polishchuk. Moscow: Moscow State Linguistic University, p. 72—76. (In Russ.). Wastnidge, E. (2015). The Modalities of Iranian Soft Power: From Cultural Diplomacy to Soft War. Politics, 35 (3—4), 364—367. Yurtaev, V.I. (2012). Peculiarities of Modern Foreign Policy of Iran. Vestnik RUDN. International Relations, (2), 13—20. (In Russ.). Yurtaev, V.I. (2015). Russia and Iran: the problem of strategic partnership. In: Russia—Iran Relations. Problems and Prospects. Ed. by Е.V. Dunayeva, V.I. Sazhin. Мoscow: Russian Academy of Sciences, Institute of Oriental Studies, Center for Strategic Trend Studies, p. 36—50. (In Russ.). Copyright (c) 2018 Polishchuk A.I., Soboleva A.S., Karimi R.E.